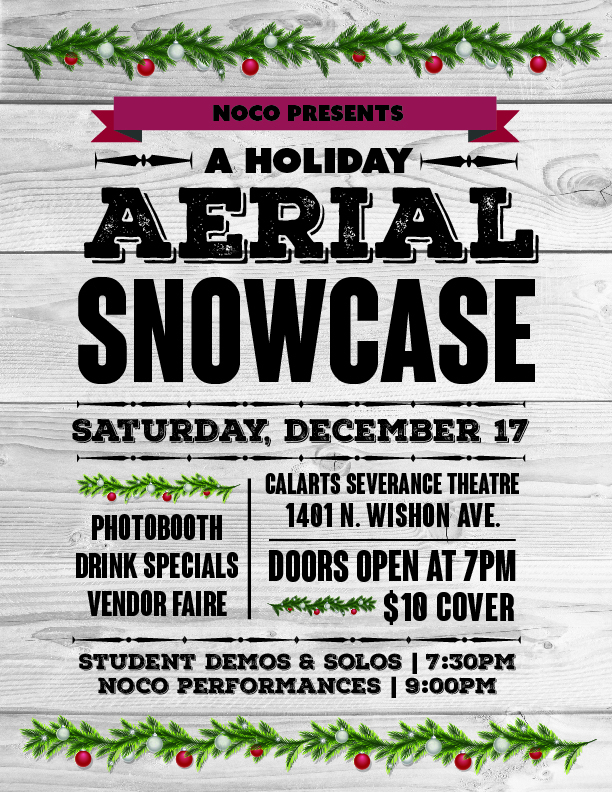 Join NOCO and our talented Aerial Students for our Annual Aerial Holiday Student Showcase, $10 cover! 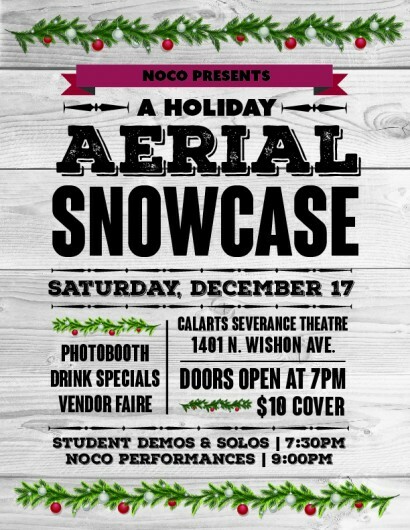 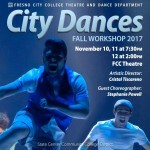 Enjoy drinks specials, photobooth, raffle prizes, taco truck, and holiday desserts while you are entertained by NOCOs and our student aerialist. 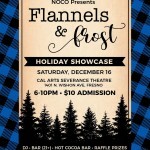 DJ Timmy Blue will be taking care of all your holiday vibes, and our vintage-themed Christmas event will feature several local vendors such as Lularoe by Laura Leonard, Spruce Juice, and a few surprise guests!